Superstars have a knack for horribly-customized supercars. While some plate them in colored-chrome or horrible paint schemes, others decide to pick up a trend and run with it, like Canadian DJ and producer, Deadmau5. 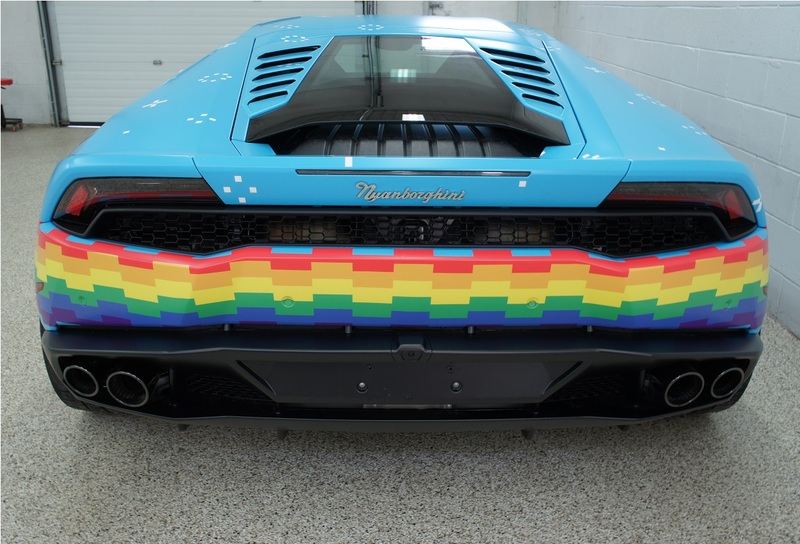 The known Ferrari-trollster picked up a Lamborghini Huracan of his own back in 2015 and promptly wrapped it in Nyan Cat livery, making it instantly, and somewhat regrettably, distinguishable. Now, it's up for sale and you can pick up the baton or save it from itself, if you've got the scratch. Thanks to the rest of Deadmau5's stable that includes a McLaren P1 and BAC Mono, this Huracan is a low-mileage example with less than 1,700 miles on the odometer. Save for its gawdy exterior, it's said to be completely stock, meaning you could have the perfect Huracan for the money—a stock one. The listing notes that the “vehicle is currently wrapped" and "can be removed." Unless you don't want to take it off, even though you probably should. It was also mentioned that the brake calipers and carbon ceramics can be returned to stock colors as well. Strange details aside, it's still a stellar Lambo that was owned by a celebrity. It's up to the buyer to decide if it's worth the marginal premium commanded in the ad: $289,900 Canadian dollars (about $235,000 U.S. dollars). Some supreme metallic kicks, and the only car they should ever travel in.